The incoming administration aims to reduce the country’s poverty rate to 16% by the end of President-elect Rodrigo Duterte’s term, his team reported. 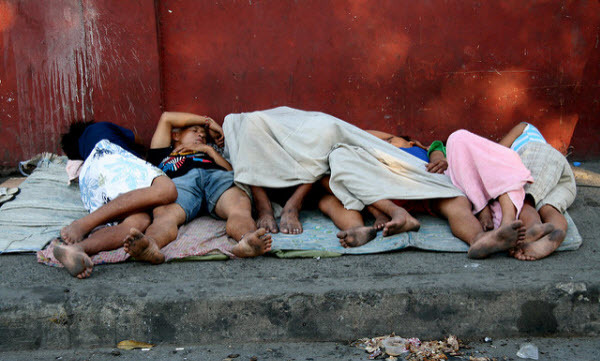 The incoming administration aims to reduce the country’s poverty rate to 16% by the end of President-elect Rodrigo Duterte’s term, his team reported on Monday, June 20. “It’s not ambitious; we’re just achieving what the other guys did not,” incoming Finance Secretary Carlos Dominguez told reporters on the sidelines of “Sulong Pilipinas: Hakbang Tungo sa Kaunlaran,” a consultative workshop between the Duterte administration and business groups held in Davao City, Inquirer.net reported. To do so, the Duterte administration aims to spread projects to the countryside, as it may increase government spending by as much as 50%. Incoming Budget Secretary Benjamin Diokno said most of the budget will be allocated for Visayas and Mindanao, infrastructure, and manufacturing wise. This plan is echoed by incoming Socioeconomic Planning Secretary and National Economic and Development Authority (NEDA) Director-General Ernesto M. Pernia who underlined the importance of government and business support for agriculture and manufacturing sectors for job creation. PLDT Inc. is set to open a new data center in Mindanao this year as it seeks to improve its diversity in the province. “We’re considering a small data center to complement our expansion of a bigger data center in Cebu,” PLDT Inc. EVP Eric Alberto told reporters on the sidelines of an event on Monday, June 20. The company currently has a 3,300 rack capacity which is slated to increase to 8,300 with the opening of its data centers in Makati City and Clark, Pampanga in the next two months. The aggressive investments of the telecom company’s business arm is in line with its digital pivot and its focus on SMACS (Social, Mobility, Analytics, Cloud, and Security). “We’re proud to say that we have made a deliberate decision to put a bet in such investments as early as four to five years ago as today it proves to be a good decision,” Alberto added. Chickenjoy continues to go places, as Jollibee sets up shop in South San Francisco, California, its 33rd in the US at the second quarter of the year. This is the 20th branch of the brand in the state, with more planned in the pipeline. “We are continuously exploring new markets where we can expand and to bring the taste of home to our fellow Filipinos. Our international expansion is also proof of the strides we are making toward becoming a global QSR brand,” Jose Minana, Jollibee Foods Corporation US country head and group president said in a statement. In May, the company reported a 17.4% growth for its foreign businesses led by its presence in the US.